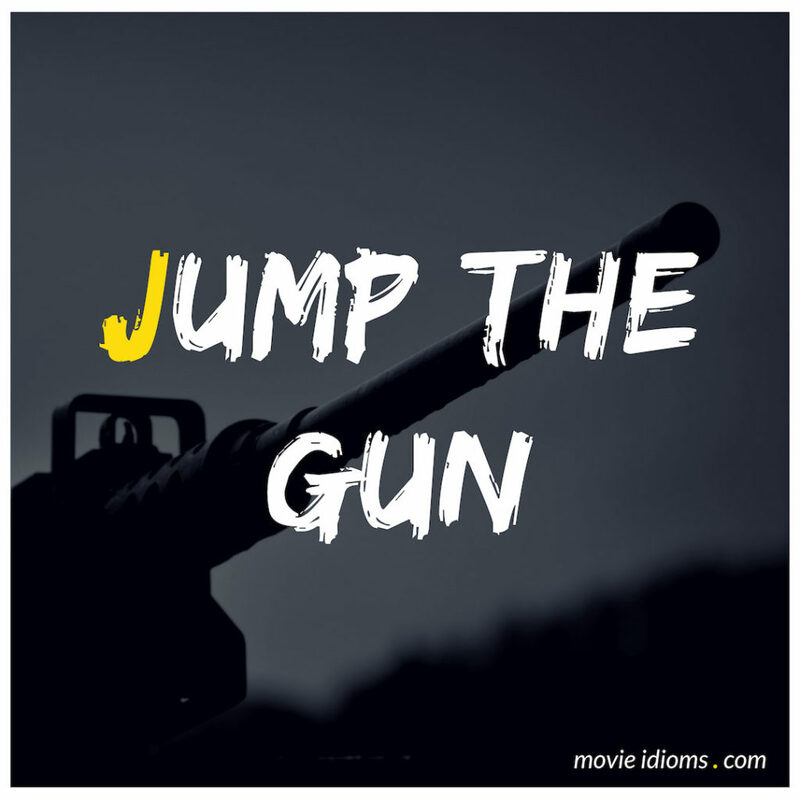 What does jump the gun mean? Janet Talbot: Did you jump the gun? Amantha Holden: Don’t I always? Janet Talbot: No. You usually face the gun, Amantha. You always have ever since you were a child. Jack: Is your watch slow? Harry Temple: No no. He jumped the gun. We had three minutes left. Jack: Why’s he do that? He’s losing his three million. Harry Temple: I don’t know maybe he couldn’t hold his wad long enough. It’s a common problem among middle-aged men. So I’m told. Harry Temple: He could have blown that thing from Pacoima! Jack: No. He knew we were up to something. He’s close by. Harry Temple: He’s not gonna corner himself in a building. We evacuated anyways. Gally: He has to be punished. Newt: Minho. You were there with him. What do you think? Minho: I think in all the time we’ve been here, no one’s ever killed a Griever before. When I turned tail and ran, this dumb shank stayed behind to help Alby. Look. I don’t know if he’s brave or stupid, but whatever it is, we need more of it. I say we make him a Runner. Frypan: A Runner? What? Minho, let’s not jump the gun here, all right? All right? Beaver. Eager beaver. Not platypus. Why does that bother me so much? Don’t answer that. Hi there. From my neck of the woods, eh? Sorry if I took a snap at you at one time. Fish gotta swim. Birds gotta eat.